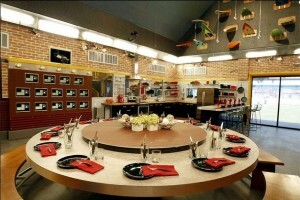 The Big Brother Memory Wall is an integral part of the big brother house; it is a section of the wall located off of the kitchen where all of the season’s house guest photos are displayed. The memory wall is actually 14 TV monitors that display the house guest photos. In addition, to their photos, each of the house guest’s keys are stored underneath their photos. After a house guest is evicted from the big brother house, their photo changes from colour to black & white. 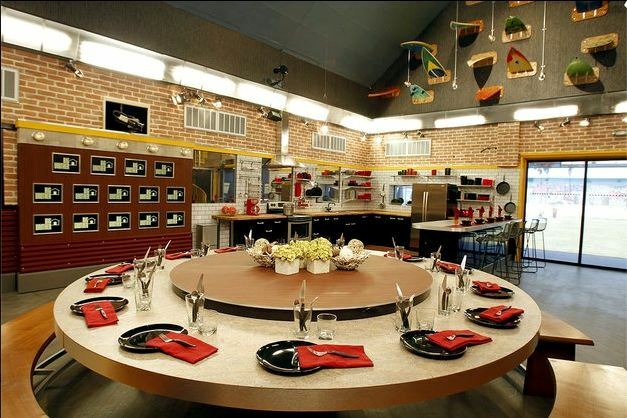 There are 14 spaces for house guest photos which caused a problem during Season 9 when there were 16 house guests that entered the house. To get around this discrepancy the photos were not added to the memory wall until after the first week when the first pair of house guests were evicted. When Neil Garcia voluntarily decided to leave the big brother house and Sharon got to come back into the house her photo replaced Neil’s photo. In addition to displaying the house guest photos the monitors were also used to display different pictures during a competition. 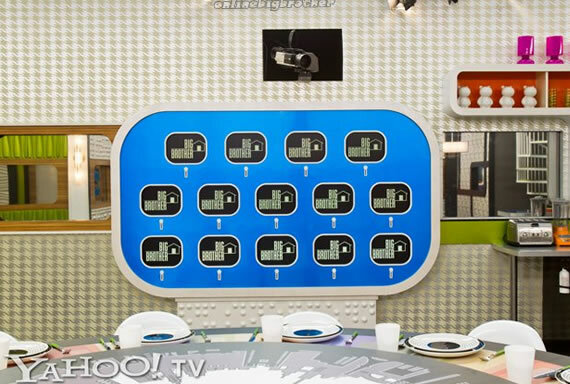 During Season 10, Season 11, Season 12, all of these seasons had only 13 house guests enter the house, therefore the middle monitor displayed the Big Brother Logo. The memory wall is also used by the house guests to study the other house guest’s faces for the usual face morph competition, that is traditionally held near the end of the season. 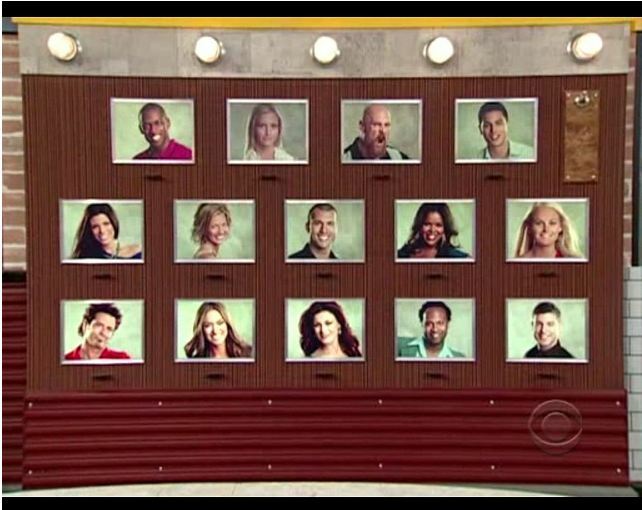 The BB14 Memory wall shows space for 14 players.